Last week, I wrote about Corrina and a new activity we've started over here. Journaling has really become something that we look forward to every night. 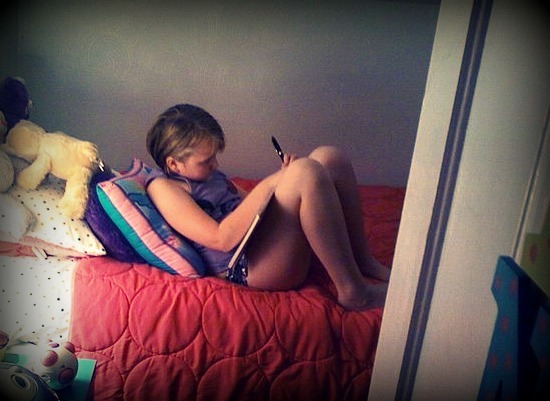 We pick a topic, then she writes about it and illustrates her stories. It's taken a little while for her to realize that it's more about writing than drawing, but I encourage her to do both. When her sisters are in bed, I sit down alone with her and read what she wrote and we talk about it. It is so nice to have a conversation with her, have her show interest and learn something at the same time. She actually looks forward to showing me what she wrote! It's wonderful. I've been asked to share some of the topics we've written about. So, here are 15 to get you started. I've put the list together from various websites, my own curiosity, upcoming events and anything that I can find, really. 10. What would I ask animals if they could talk? Just in case you don't find any of these interesting, starting tonight, I will also share our daily topic on facebook and twitter.